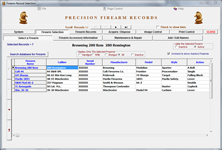 The Precision Firearm Records System uses the same firearms information database as the Precision Ballistics and Records Modules. 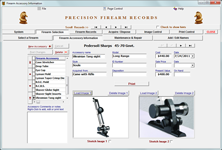 Record, store and print all images and vital statistics needed to completely document any firearm in your collection. 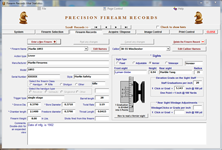 The record system includes a feature that enables printing hard copies of the vital statistics and information that is stored for each firearm. 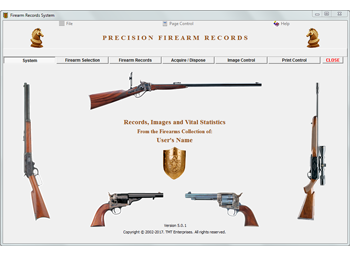 Data for a very large number of firearms may be stored, searched and retreived from the shared and keyed databases. 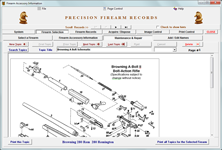 Maintenence and repair information related to a specific firearm may be entered and stored by topics that are individualy indexed for viewing or printing, either as a collection or as individual topics. 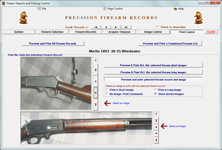 Intutitive and easy to use controls allow one to import and store previously sized and cropped digital images of each individual firearm. 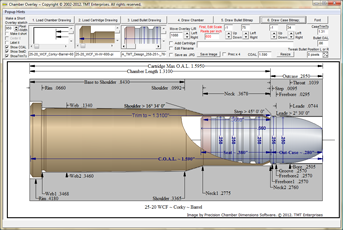 Separate image frames are provided accomodate both long and short arms. 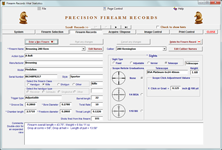 The Print module generates individual firearm record sheets, selecting image and size from the print control page. 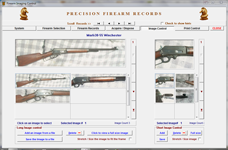 Individual records and images of all accessories or equipment related to a specific firearm may also be printed or viewed. 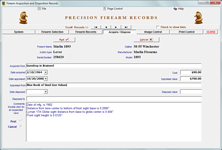 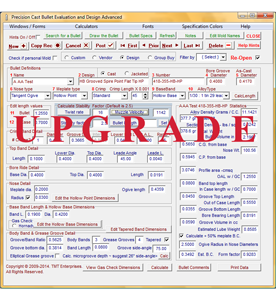 Generate a complete 8 1/2" x 11" report on your firearm collection, displaying pertinent information, with cost and disposal values totaled and compiled. 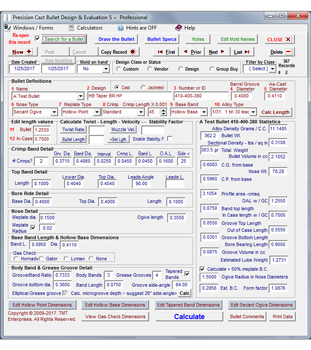 Excellent for insurance purposes. 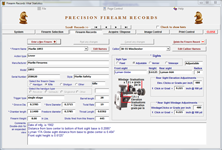 The printing control provides complete selectivity of the records and images to be printed.